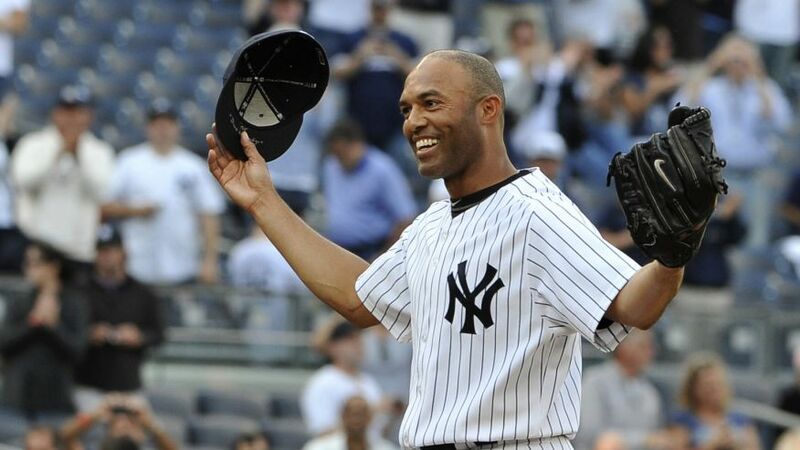 Will New York Yankees’ Mariano Rivera break the all-time highest voting percentage for entry into the Baseball Hall of Fame in Cooperstown, New York? Well, let’s take a moment to reflect on his career and leave no doubt in your minds that this could happen. To simply say ‘no one did it better’ would almost be an understatement, as what Mariano accomplished in an 18-year playing career goes without saying. Or does it? Rivera’s Baseball’s Hall of Fame nomination will put a cap on what has been an incredible career (or any other adjective you would like to toss around — amazing, spectacular or remarkable, just to name a few). He retired as baseball’s all-time saves leader as a closer. It was only fitting that he gracefully came out of the bullpen to take the mound to the sounds of ‘Enter Sandman,’ a Metallica-driven tribute, time and time again at Yankee Stadium as he came to do his bidding. With 98.84% of the voters’ approval, Tom Seaver currently holds the all-time voting percentage record for entry into the Hall of Fame. Ironically, now another pitcher is on deck to possibly break yet another record for his achievements on the field. It’s time to be reminded of Rivera’s time and effort spent building such an incredible resume for immediate and undoubted entry into the Hall. On February 17, 1990, the New York Yankees signed a scrawny amateur free agent and put him into the farm system. By 1995, he was pitching in playoff games for the Yankees. In a holder’s role, he backed John Wetteland as a 1-2 punch. The two combined to finish out and protect any lead from the 7th inning to the last out. The Yankees did not re-sign Wetteland after the 1996 season. Rivera’s career as “the greatest closer to ever pitch” began. At the end of the 1996 campaign, when Mariano became the fulltime closer in New York, he had 5 saves and two post-season appearances, surrendering only three hits in 10 innings pitched over the 96-95 playoffs. From 1997 through 2013, one of the most iconic faces and names–who was the last player in baseball history allowed to wear #42 on the field due to the grandfather clause – had one of the most memorable careers that a skinny little, big-armed kid from Panama could ever dream of. From 1995 – 2013, Mariano helped the New York Yankees become a playoff staple. The Yankees made the playoffs in 16 of his 19 years, and a whopping 13 years in a row, from 1995 to 2007. With more expectations on him came more money. In 1995, he was earning $103,000 and made 10 starts. He was turned into a young mid-reliever and, by the time he was done playing in 2013, earned over $169 million in base salary, not including endorsements and signing bonuses. Oh, let’s not forget about 652 regular season saves and 42 post-season saves –both records that will stand the test of time. Regular Season (1995 – 2013 / 19 Years) 82 W – 60L; .577 Win %; career RA 2.20; 652 Saves; 1283.2 Innings Pitched; 1173 Strike Outs in 1115 Games Played. Post Season (16)16 ALDS – 9 ALCS – 7 World Series 8W – 1L; 96 Games Played; 42 Saves; 141 Innings Pitched; 0.70 RA; 5 World Series Titles, all with the New York Yankees. Mariano lead the league in saves in 3 seasons ’99, ’01, ’04) and was a 13-time All Star as well as a World Series MVP winner in 1999. In 2013, one year after Rivera hurt his knee shagging fly balls before a game in 2012 that ended his season earlier then expected, he won Comeback Player of the Year. Also never going unnoticed was his fielding ability. Although he had no Gold Gloves to speak of from pitching, he had a .985 fielding percentage. I wonder how voters are going to go about voting or if they think Mariano Rivera is worthy of the Hall of Fame? Does the man who retired with the most regular and post season saves in baseball history and five World Series’ to his name, have any faults or restricting factors that would prevent voters from breaking Tom Seaver’s all-time record for highest voting percentage? No. Every Yankee fan and/or anyone who faced Mariano over the last 19 years has no doubt that he belongs in the Hall of Fame. To further immortalize his career, it would be something to see Rivera get in to the Hall of Fame with authority and not with one shadow of a doubt. Put it his way: If you were a big league manager, who is the first person that you would pick when you are faced with a one-run lead going into the 9th inning. Who would you want on the mound? Although the term ‘save’ was originally used back in the early 1950s, became an official stat in 1969, and was given to a relief pitcher who is designated to finish a game with a lead and essentially ‘Save’ and end the game. To compare Mariano statistically to the other closers in the Hall of Fame, Rollie Fingers had 341 saves and received 81.16%. Dennis Eckersley had 390 saves and received 83.20% Goose Gossage had 310 career saves and had the most blown saves in history and still got 85.82% of the vote, surpassing both Fingers and Eckersley. Only Trevor Hoffman, who retired in 2010, has at least 600 saves in his career and he will also be in the Hall of Fame when his time comes in 2015. Seeing Mariano’s percentage of votes will be interesting when he gets voted in come 2018. In an era known for performance enhancements and steroids, there was never even a peep when it came to questioning the God-given ability of Rivera to perform without drugs in his system. There are simply two letters to say about a career that should see the all time best entry percentage for the Hall of Fame…. Great article for a great man EJ! Nice!